It is not unusual for adults, even those living under relatively favorable circumstances, to feel that there is something missing from their lives. There is a lack of satisfaction, a sense of not being fully alive. Even when we meet needs or attain goals, the sense of joy and satisfaction may be fleeting or relatively short-lived. The next challenge arises and we are again caught up in striving, at times fearful and frustrated, looking to fulfill another need that we think will make us happy, only to have the cycle repeat itself. Of course, for many people, life is more of a struggle because of poverty, illness, relationship trauma, or other difficult life situations. When that is the case, emotional suffering is not subtle, but instead it is more intense, even overwhelming and debilitating. Psychotherapy does provide support and good answers for many people in their effort to work through issues, cope better and ultimately function at a higher level, with a greater sense of well-being and self-esteem. 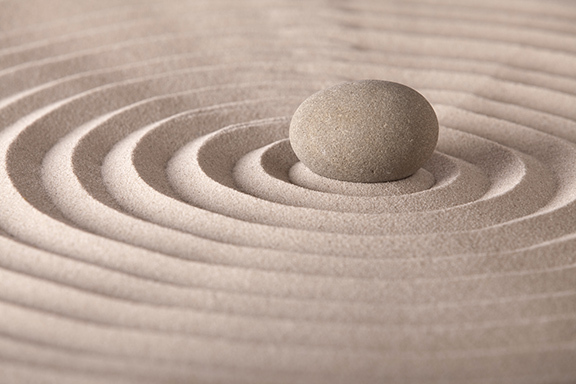 In recent years, some psychotherapists have incorporated mindfulness techniques into their approach as a means of providing further resources. In fact, there are now at least three psychotherapies and one stress reduction approach that either focus on mindfulness or integrate it with cognitive-behavioral therapy, and each has been shown to be effective based on outcome research. Being present in this moment is a very different condition than what is happening for most of us at any given time. It is usual for people in our culture to spend many waking hours caught up in feeling and thinking about the remembered past or the imagined future. In those moments, people are literally hypnotized by their own feelings and thoughts, so lost in a thought constructed reality that they lose all touch with the present moment, including their bodily sensations, surroundings, and especially the fact that they are lost in thought! The emotional impact can be painful – sadness and regret about the past, fear of the future. And too often the thoughts are in control – that is, instead of the awareness that you having thoughts and the associated feelings – they are having you. The thoughts have taken over, and concepts, mental representations, are accepted as “reality.” What is actually happening in the moment can be very benign, but because a person’s attention is lost in the remembered past or the imagined future, suffering arises. This is not a recommendation to only focus on the moment or ignore all thoughts. It does suggest a way to reduce unnecessary suffering as you move towards more adaptive responses to life situations. Mindfulness can begin with relatively simple steps, such as practicing “present sense awareness,” a form of “just being,” in everyday life – observing and accepting sense impressions as they arise. This observing process can be extended to thoughts and feelings. In other words there is a sense of letting go and allowing things to be just the way they are, while still being responsive. As skillful means are developed there is a deepening capacity to rest in a spacious awareness, even under difficult circumstances, that can be accompanied by feelings of peace, freedom, aliveness and joy. Expressions of love and compassion naturally deepen. Creative and harmonious responses to life situations are much more available, sometimes arising spontaneously without effort, and that kind of energy encourages more positive, life affirming experiences. If you are interested in exploring Mindfulness further, please contact Jeff Levy at Carolina Counseling and Wellness Center. Mindfulness practice can be integrated into a psychotherapy approach, or be the focus of our work together. Individual sessions and group classes are available now.